With Arneson Drives. 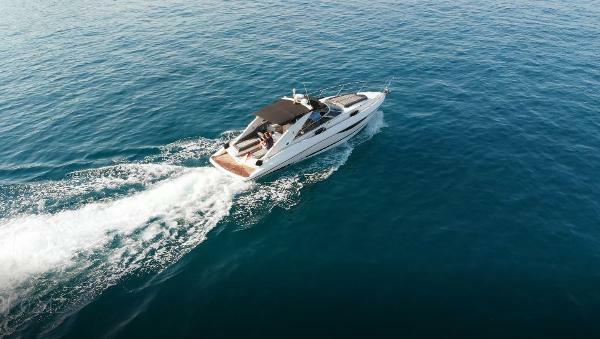 This Exciting Sports Boat from Sunseeker, with Hollywood Bond Heritage and High performance engines and drives. 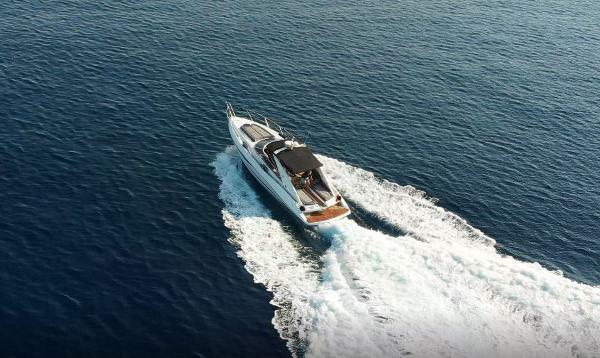 The Sunseeker Superhawk 43 with Yanmar engines and Arneson Drives is in fabulous condition with New Upholstery, with high quality marine Speakers and Subwoofers, Newly laid Teak steps leading into the cabin which is in great condition. The Superhawk 43 is Fully Serviced and Anti Antifouled, In Fantastic Condition. Yanmar Engines and drives are far more reliable than the other engine options and were originally over 140,000 GBP more expense new. Superhawk 43 Specifically designed with steeped hull for the Yanmar Arnesson Drives. 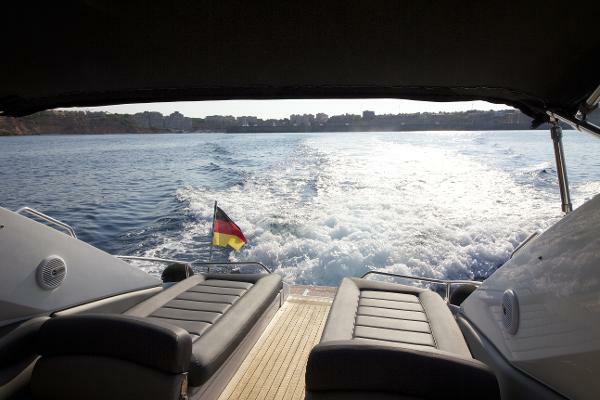 With the best reliability of its model she can cruise to a top speed 50 knots. Great mobility which includes bow thruster for close quarters maneuverability. Complete Engines overhaul and service, drive service, anti foul, hull Polish performed at the beginning of the summer with Marlin Marine who performed the works.